You must make bookings at least 5 minutes in advance of the time at Blue Boar. Valet parking is available by arriving at the front door of the Conrad London St James hotel located on the adjacent street, Broadway. 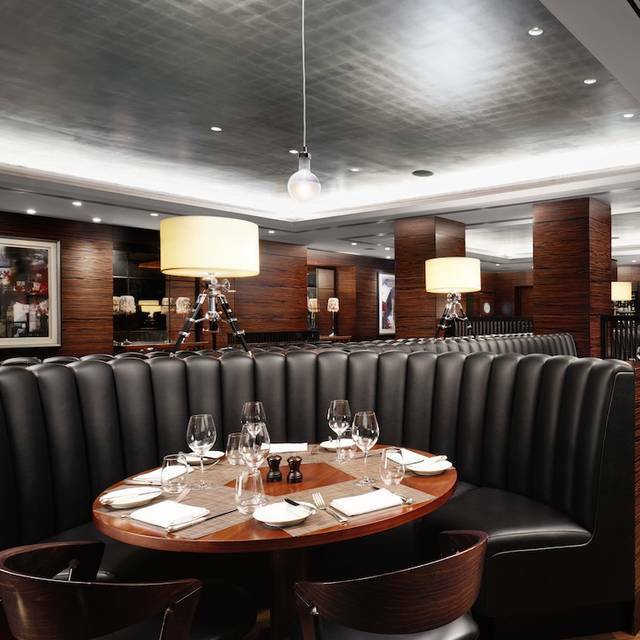 Blue Boar is located on Tothill Street which is easily accessible from both St. James’s Park (0.1 miles) and Westminster (0.4 miles) by London Underground. Victoria mainline station (0.6 miles) is located just a ten minute walk away. 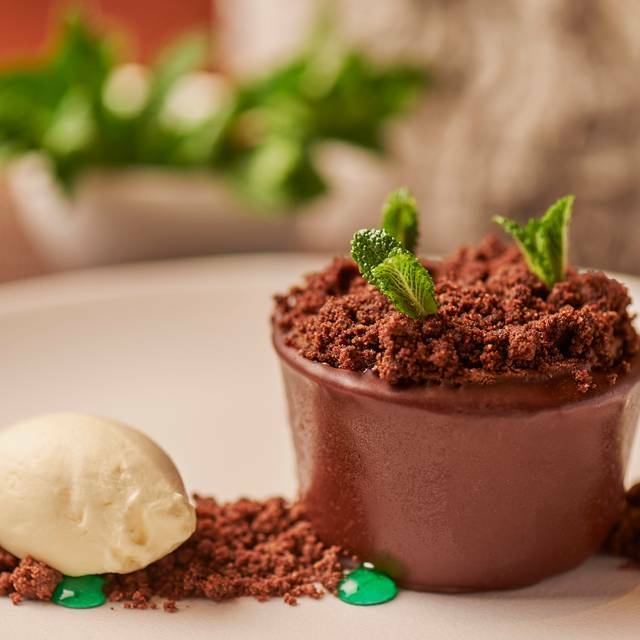 Blue Boar Restaurant offers contemporary British dining in the heart of Westminster. 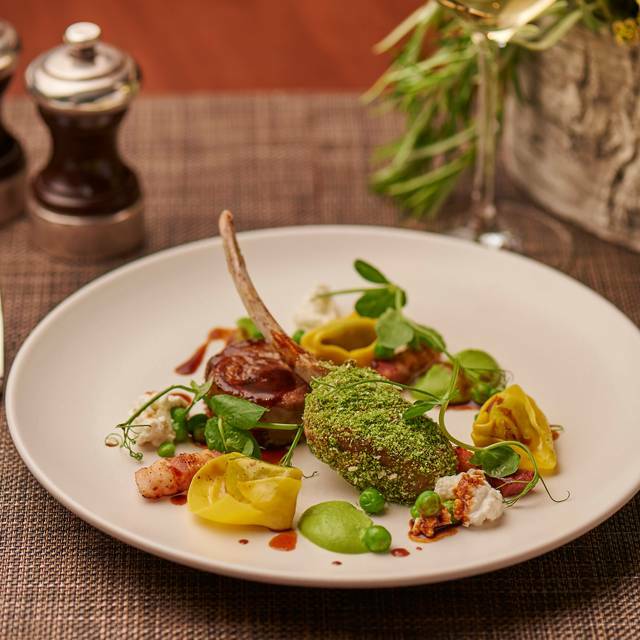 Head Chef Michael Riordan combines fresh, regional ingredients to deliver a mouth-watering menu that celebrates the very best of what each British season brings. 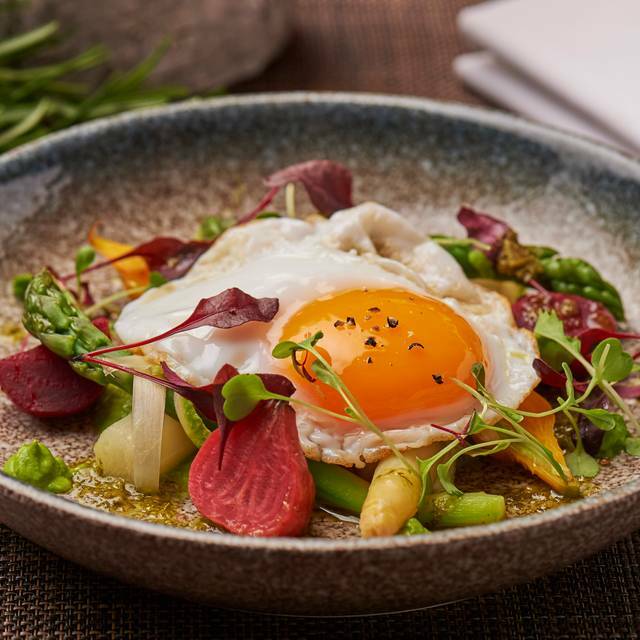 Farm sourced succulent meats and freshly caught seafood from the Devon and Cornwall coastline feature on a menu that is as perfect for a light lunch as it is for a decadent dinner. 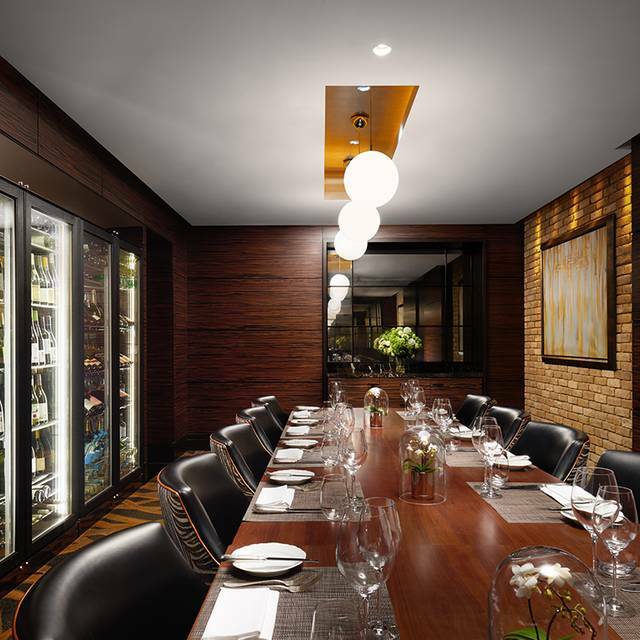 Private dining at Blue Boar is particularly special with two exceptional spaces, connected to the main restaurant by a floor-to-ceiling wine wall. 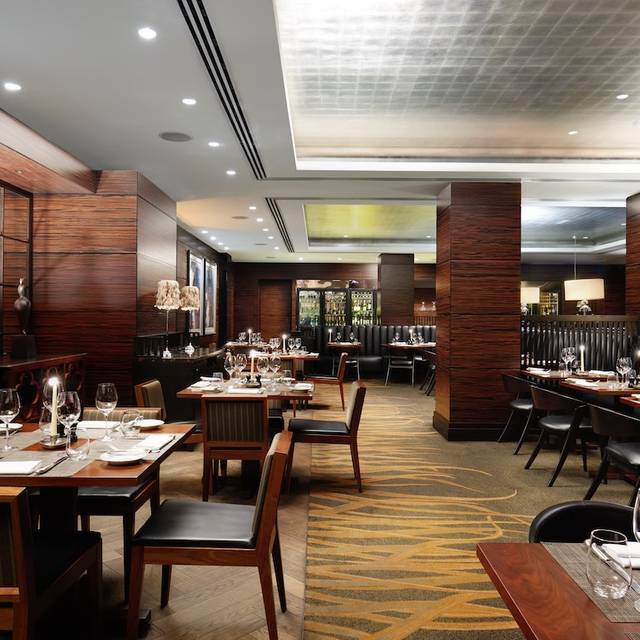 Located in Westminster, Blue Boar restaurant is a 1-minute walk from St. James’s Park Tube Station. 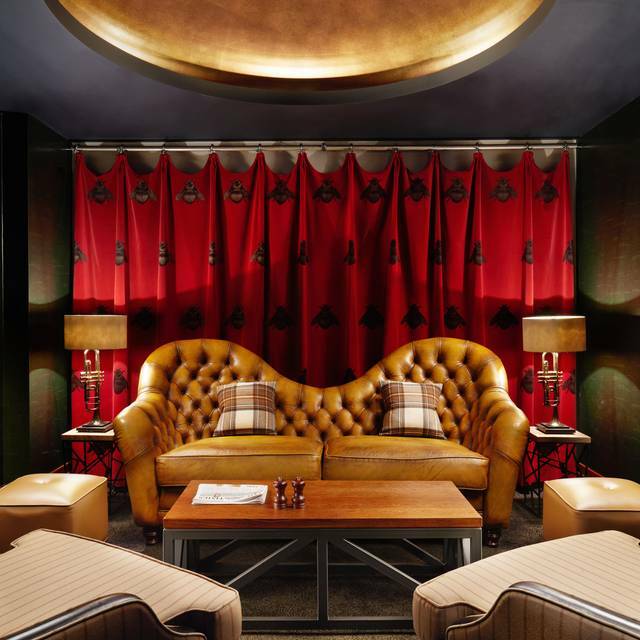 Situated close to the Thames, Blue Boar Westminster is a 3-minute walk to Buckingham Palace. Please be aware that only bar menu is available on Sunday. 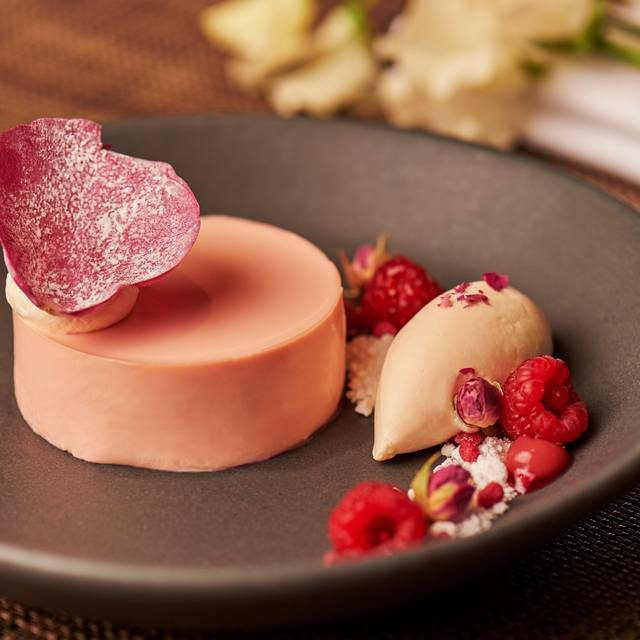 Really really good.... the service was flawless, polite and attentive without being OTT, the food was great everything was not only delicious but beautifully presented and the venue is lovely - low lit with leather booths. The cocktails were great too, really delicious, beautifully made and reasonably priced... they also had a couple of themed cocktails too (brexit based!) which was fun. ... but still better too quick than too slow! My wife and I had a very pleasant experience dining here. The meal itself was exceptional. Excellent food and service! Highly recommend! The quality is fantastic for the price. Whilst the food here is tasty there is no atmosphere and the staff were more interested in chatting amongst themselves than serving to few customers they had. The bill was outrageous for what this is too. I thought the food was great, but it felt like the waiters were trying to get us out pretty much as soon as we had finished our meal (we didn't order dessert or coffee). I would understand if the restaurant was busy, but it wasn't even half full. I would have liked to have had a relaxed post meal chat with my friend. I doubt I would go here again to be honest as I really dislike being rushed through a meal. Perfect setting to discuss business privately over lunch - many discreet tables. The overall evening was really good - despite the limited menu, the experience was enhanced by exceptional service and terrific food. Excellent food and service, would definitely return and recommend. Good food, good service, bit bright in the restaurant and we were next to the waiters station so a bit noisy and not very private. The level of service was exceptional. Food was great too. Really great meal from a place that’s not a ‘London big name’. Concert at Westminster Central Hall with family made into a complete evening by this lovely meal just down the road. Very friendly and efficient service - delightful dishes. Would definitely recommend. Very good steaks, service was very nice(waiter was pro), atmosphere was peaceful and interior is great. Very good place to have a dinner. Thanks to Zoltan who has been very thoughtful and welcoming. The food was delicious, really tasty and creative. Thank you again for this beautiful evening. I like the Blue Boar and would visit more frequently but it is very expensive compared with similar alternatives. One of the best meals we had while in London. The cauliflower gratin was amazing as was the ribeye. Super place to meet an old friend for lunch and catch up. Efficient, cheerful service and delicious food. Was particularly touched by the beautifully presented birthday petit fours. Food was lovely but the service was poor which was a real shame. Waiter seemed rushed and therefore was not attentive as you would expect for the price you’re paying for the food. Left feeling very disappointed and won’t be returning. 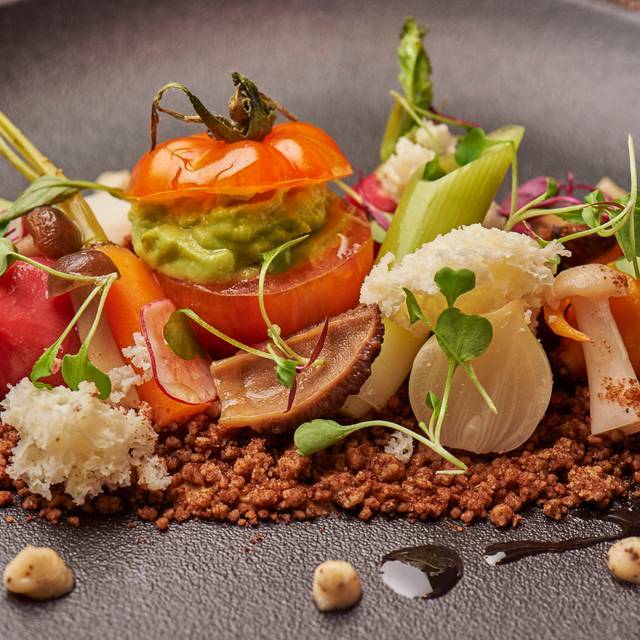 The food was one of the most beautiful plates of food I have seen and enjoyed eating. Both my Husband and I enjoyed our meals. Everything perfectly cooked. Lovely food. Limited menu but great quality. Would definitely go back again. Also had breakfast in same restaurant as I was staying at the hotel and the variety, huge choice and quality was superb. We were met by helpful staff who showed us where we had to go but because we arrived early we were asked to wait in the bar area where we ordered a drink. We went into the restaurant when they were open and were shown to our seats and given a menu. We were given a basket with a selection of rolls & butter and asked if we wanted some water which we did so were given a bottle of water then a member of staff took our order and after a while our food arrived which was nicely presented but the fish menu was very small & although it was to include some crab the actual crab was so tiny it was only the size of a teaspoon. After that course we decided to have a dessert but was not impressed with the Gin& Tonic dessert because it arrived in a bowl of Crushed ice which slightly tasted of Gin and a tiny bit of fruit. We finished by ordering a coffee each and when it arrived it was luke warm so we drank it quickly, then we asked for the bill and when it came we noticed it listed an extra dessert which we didn’t have so we pointed this out and it was removed from our bill, so we then settled up and left. This is a good place for a business meal as, unlike some modern restaurants, you can hear what your dinner guest is saying! We wanted a quick (less than 1h15) meal before a concert - this it turned out was not the right choice for us. Various miscommunications with the waiter despite us making our requests clear. He did offer us a glass of wine each to apologise for the mix-up with the orders. Had the food been amazing it wouldn't have been so bad, but it was just OK - we had the aubergine ravioli. It was very quiet in the restaurant but we waited over 15 mins for our drinks (which were not what we ordered). The bar at the front was very busy - we wished we'd eaten there instead. Excellent meal. Very attentive staff. Friendly attentive and relaxed the restaurant was a nice place to have a relaxed dinner. The food was good, well prepared and tasty. Not fine dining but not pretending to be. Our waiter was just the most attentive and appropriate chap. On the whole food was good, we were taking a relative from America to dinner in the Restaurant, food good except the Crab and Advocado salad starter far to much greenery and hardly any crab, did not complain at the time as we did not want to embarrass our Guest as she suggested the venue. So disappointed after reading the reviews, awful experience. The restaurant, for a Friday evening wasn't busy but the service was dreadful.We went for the set menu which includes a glass of wine. The waiter telling us the wine not good, then why serve it ? !.Got the bread basket, good selection and warm but the waitress who took our food order decided to whisk it way without even asking. The starter were fine, the watercress veloute was tasty and was suppose to come with wild garlic toast, no served The mains, unsual combination of chicken wings and fried Plaice were really, really salty and the combination simply didn't work.Waited 10 minutes for the bill. Eventually got the manageress to get it for us, complained and got the wine knocked off the bill.. There are better place to eat at, won't be returning. Arrived at the host stand on a Saturday evening. Hostess was inside the restaurant talking to servers. Asked for a booth, given a half-booth. Two other tables were occupied in the whole restaurant; many booths were available but refused for seemingly no reason. Immediately asked for beverage preference; ordered sparkling water and wine, which came quickly. Server came without many words. After seeing the “Aspiring Chef” seasonal menu, I asked which of the 12 aspiring chefs were working in the kitchen; to order their specialty. The server didn’t know, but she thought none (possibly one pastry chef). No attempt was made to find out; no manager intervened... A bad, bad sign. Therefore, I ordered the safest bet: A burger, medium-well. Server said it can “only be well-done”. My understanding is the law allows for medium-well or well-done; I could be wrong. The connected pub serves medium-well; yet the "fine dining" restaurant can not - Unsurprising yet scary, considering there are apparently no chefs or interested managers on a Saturday evening. The “manager” (or lack thereof) made one, brief appearance hurriedly walking through the dining room; the rest of the time no where to be seen. Zero communication. Server did not come back to the table once until flagged-down for the bill. A magnificent restaurant with excellent management two years ago.. No more. Everything was very good apart from outrageous prices for one 175 ml glass of wine - £9.95!! Needs to be made clearer when booking on line which is the bar menu and which is the al la carte menu. Still the staff were very obliging and served us bar food in the comfortable dining area. Thank you. Lovely ambiance. Indifferent service. Creative flavorful food. Food was good quality. Service was good. Not a great range on the menu but enough for a catch up lunch with friends. Our reason for eating here was simply that we wanted a quiet atmosphere; we chose to eat in the restaurant proper, rather than the bar as a result. However the added cost was well worth it. Firstly the staff were delightful, knowledgeable and helpful, for example recommending an excellent white wine to accompany a fish dish, from a range of wines we were not familiar with. Then the food, which ranged from the good to the sensational. The puddings were works of art, as well as delicious. And the surroundings were just what we wanted, quiet but warm and relaxed. Highly recommended.